RIM announced BBX to the world at a developers conference this week. BBX will be the new flagship operating system for RIM, merging the BlackBerry 7 smartphone OS with the QNX OS that powers the PlayBook tablets to create a unified hybrid platform. That would be one ring to rule them all…someday. RIM outlined a variety of benefits of BBX for app developers, RIM customers, and the BlackBerry smartphone and tablet ecosystem at large. What RIM failed to shed any light on, however, were the more important details, like when BBX will actually be available. RIM also didn't disclose which--or if--existing BlackBerry smartphones will be upgraded to the new platform, or what sorts of new BlackBerry devices are on the horizon that will support BBX. Perhaps BBX could one day help the PlayBook achieve some relevance. It reminds me of another situation. Earlier this year my nine year old son took money he had earned himself and went to Gamestop to purchase a Nintendo 3DS. One of the games he was looking forward to most was the promised Animal Crossing 3DS, and Gamestop was pleased to take his down payment to pre-order the "upcoming" game. That was about six months ago. As of today Amazon.com doesn't even have official artwork for the image of the box, never mind the game. The game doesn't even have an official price or projected release date yet. By the time the game comes out--if it ever comes out--the Nintendo 3DS could be obsolete. That is how I envision announcements like RIM's "unveiling" of BBX. What would have been impressive is for RIM to truly unveil BBX, including announcing new devices built for BBX, and revealing when a BBX update would be available for existing BlackBerry smartphones and PlayBook tablets. BBX feels like a placeholder--like RIM's way of giving analysts, investors, and customers some ray of hope to hang in there while RIM tries to retool for a comeback. When BBX does eventually arrive, it will be a significant step forward for RIM. 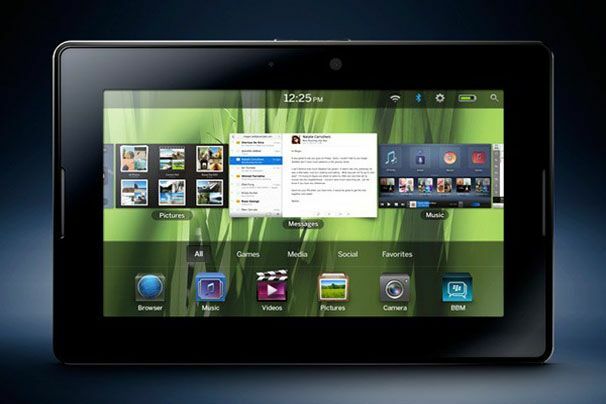 It will unite smartphones and tablets on a single OS, following in the footsteps of iOS and Android "Ice Cream Sandwich". RIM's problem is that iOS 5 and the iPhone 4S are here now, Windows Phone 7.5 "Mango" is also here, and Android "Ice Cream Sandwich" has been unveiled--including an imminent timeline for availability. There are a lot of solid options out there, and if RIM takes too long there won't be any BlackBerry customers left to care. Time marches on, and businesses need to make decisions about which platform or platforms to embrace based on availability and real-world capabilities, not promises and pipe dreams.